Summer isn’t over yet! You still have time to plan that vacation you’ve been waiting for! Hit the road with family or friends and travel to the corners of the country, experience new delights, and embark on an adventure of a lifetime! This summer I had the amazing opportunity to drive across the United States of America, all the way from California to South Carolina. Naturally, I had a lot of preparing to do before embarking on my journey to ensure everything went as smoothly and stress-free as possible. While I can proudly claim that I did well in some preparations, I must also admit that there were some things that, in hindsight, I wish I had done differently. This first post takes a look at some of the preparations I’m glad I did. The next post in this two part series will take a look at some of the preparations I really wish I’d done differently. These posts should help so that you can adjust your own preparations when planning your own vacation roadtrip. One of the most important steps prior to going on a long trip is figuring out where exactly you want to go. For me, I knew where I was coming from and where my final destination was, but I had a lot of area in between that I needed to figure out before hitting the road. 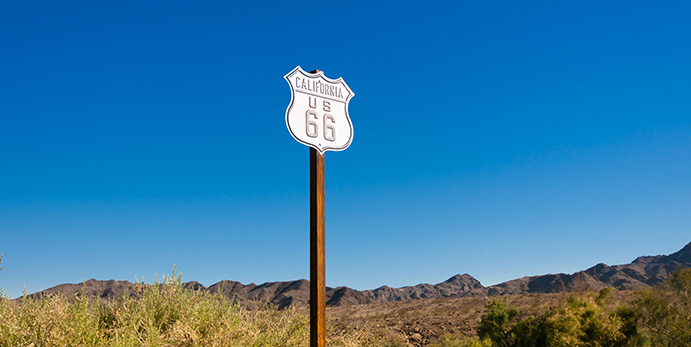 Would I take the fastest route across the country, maybe traveling down the stretch of highway that once served as the Historic Route 66, or would I take a more scenic route, going out of the way a bit to explore some states I’d never visited before? What would I stop and see as I traveled? Where would I stay? And quite possibly the most important question of all: What unique and interesting restaurants would I eat at along the way? My questions seemed unending. Although I’m sure I would’ve managed had I simply put in my final destination in my GPS and followed its directions the entire way, it would have made for a much duller, uneventful journey. Instead, I planned my route on a free travel website, first figuring out what states I wanted to visit along the way and then narrowing my path to touch on interesting locations, shops, restaurants, and other attractions I just had to see. Before I knew it, my general route was planned out and I had coordinated enough entertaining stops along the way to keep each day fresh and exciting, as a summer road trip should be! Another thing I did well (if I do say so myself) is plan a lot of variety in our stops. I didn’t want my trip to just be a string of restaurants and hotels. Don’t get me wrong, I love eating fast food burgers and sleeping in a nice, cozy bed as much as the next person, but I also enjoy variety. So one thing I was sure to do was step out of my comfort zone a bit. I invested in some affordable camping gear, researched some camping locations along my route, and spent a few nights underneath the stars. It was a lot of fun and broke the regular rhythm of driving from hotel to hotel. It was a welcome change. I did the same for locations and attractions. One hotel I stayed at had an indoor waterslide so I could get wet and wild before hitting the road for another stretch of driving. I saw Mount Rushmore and drove on Scenic Byways one day and explored around the downtown areas of major metropolitan areas the next. The extra time it took to add more variety along the trip was well worth the effort, making every day as exciting and adventurous as the next. Even though I had most of my trip planned out, I still allowed enough freedom to allow for those on-a-whim detours or pit stops. After all, there’s nothing worse than driving past a neat attraction and deciding not to stop just because it’s “not on the schedule.” Unless you’re on a tight time constraint, allow yourself to be spontaneous now and again. There’s so much to see all over the country, you’re bound to run into something new and unexpected from time to time. Some of my best memories along my journey took place at stops I never planned on. Possibly my all-time favorite stop was at a small town in South Dakota that I’d never heard of before called Wall Drug. Driving east on Interstate 90, I saw hundreds of billboards alongside the road advertising this tourist attraction town, each sign describing a different attraction than the last. If the signs could be believed, Wall Drug had an arcade, gift shops, buffalo burgers, panning and mining stations, five cent coffee and homemade donuts, and even an animated T-Rex! Needless to say, by the time I arrived to the Interstate exit leading toward Wall Drug, I was hooked. I pulled into town and had the time of my life. I’m glad I took the extra time to stop and experience this hidden gem for myself. And I strongly urge you to stop and do the same if you come across an interesting roadside attraction that you hadn’t planned for. It could very well be the highlight of your entire trip! Road trips can be expensive, especially if you’re driving from one coast to the other. But the trip doesn’t have to wreck your finances. Prepare a budget prior to the trip, establishing how much you want to spend. Be sure to account for gas, food and snacks, attractions and pit stops, and hotels or camp sites. It might seem like a lot at first, but with a little budgeting and some slight compromise, you’ll find that you can afford to see and do most of what you want. A few things to keep in mind: Pack a cooler full of snacks and drinks and refill the cooler at every hotel. Virtually every hotel these days has a free ice dispenser. Top off before check out to keep your snacks and drinks fresh and cool. Also, try not to go overboard on souvenir shopping. Sure, everywhere you go is going to offer one-of-a-kind T-shirts and coffee mugs that are highly overpriced, but why not stick to something more affordable and just as unique like a postcard or thimble? Or just take pictures in front of iconic locations to help memorialize the stop. That way your souvenir is one-of-a-kind, personalized for you, and free! You can’t be that! Possibly the greatest of all my pre-trip accomplishments was getting my vehicle serviced a couple days prior to departure. I had planned my drive to be just shy of 3,500 miles. That’s a lot of roadway to cover, and the last thing I wanted was to be broken down on the side of the road because I didn’t get my car checked out properly. Fortunately for me, my routine check up spotted a huge potential problem: my rear brake pads were so worn that they could’ve given out at any moment! The mechanic replaced the brake pads and checked over the rest of my car to make sure it would make the trip without problem. Having that routine service check could’ve been the deciding factor between a great trip and a disastrous one. Some important things to have checked out before a long drive are the fluid and oil levels, the brake pads, tires, window wipers, headlights and brake lights, and the battery. Also, it doesn’t hurt to let the mechanic know you’re planning a long drive; that way he knows what to look for to best ensure your vehicle continues trucking along during your drive.